Bryn Mawr College Freshman and Baldwin School alumna, Mary Ayer mostly discusses socializing with classmates. She writes about academics and her Latin and English Literature classes and participates in extracurricular activities such as being chair of the freshman class, acting in plays, and sports. Mary also visits Radcliffe. 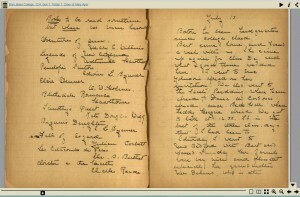 Mary Worthington’s diary during her sophomore year at Bryn Mawr College. Mary Worthington, M. Carey Thomas’s “dear, intelligent niece” recorded the significant events and emotions of her college years and life as part of the Class of 1910. 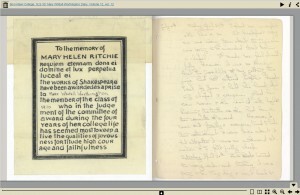 Mary Worthington’s diary around the time of her senior year at Bryn Mawr College. 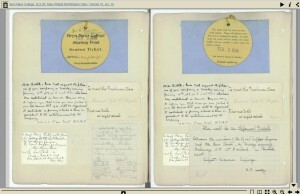 Mary Worthington, M. Carey Thomas’s “dear,intelligent niece,” recorded the significant events and emotions of her college years and life as part of the Class of 1910. 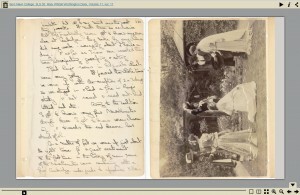 A continuation of Mary Worthington’s diary during her junior year at Bryn Mawr College. Mary Worthington, M. Carey Thomas’s “dear, intelligent niece,” recorded the significant events and emotions of her college years and life as part of the Class of 1910. 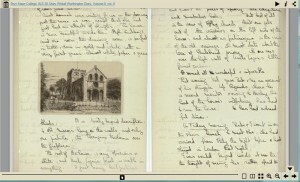 Click image to view the 1907 Mary Worthington diary in a page-turning viewer. 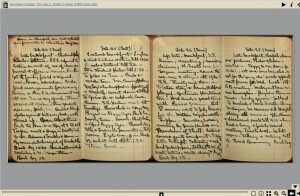 Mary Worthington’s diary during her freshman year at Bryn Mawr College in the spring of 1907. Mary Worthington, M. Carey Thomas’s “dear, intelligent niece” recorded the significant events and emotions of her college years and life as part of the Class of 1910.